Looking for House Cleaning Newtown CT? 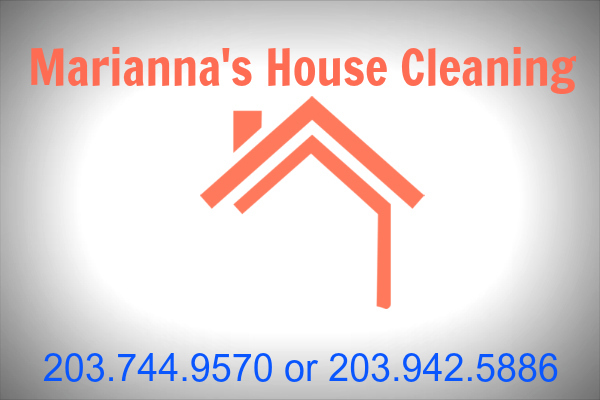 Marianna’s House Cleaning is not your typical cleaning company. We’ve been in business for so long simply because we take pride in our work and never cut corners. Look no further for House Cleaning Newtown CT. No job is too big or too small for our team and our professional House Cleaners will guarantee your satisfaction or the job is on us! Let us be your last company for Home Cleaning Newtown CT! We also service Roxbury CT, Washington CT, Brookfield CT, Bethel CT and Danbury CT. Let our staff come in and provide you with the Best House Cleaning in Fairfield County CT! We guarantee your satisfaction on every job and our staff will bend over backwards to ensure your complete satisfaction. We take great pride and care when in your home and you can rest assured that we screen every staff member. We work on referrals as do most great companies and because if this we know that great work and consistency is key to earning your trust and your business. Let Marianna’s House Cleaning work for you and keep your home in order so you can focus on the things that matter most. We want to be the last House Cleaning Company you’ll need and trust in your home. Don’t take our word for it, just read our great reviews and give us a try. We’d love to work with you and earn your business year after year. Give us a call for a free consultation and to learn more about all of our services. We’d love to hear from you. Look no further CT! If it’s House Cleaning Newtown CT, we’ve got you covered!